This is a beautiful recording of a beautiful moment. 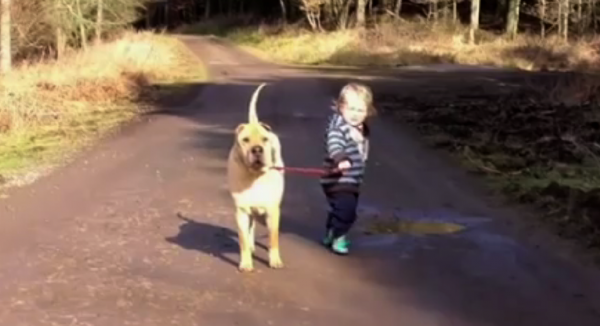 What strikes me most in this clip is the peace emanating from both the little boy and the dog. It is but an elusive instant in the infinite history of time, but, for all they care, the world could be in flames. That one moment they share, nothing can take from them, it is all they have there and then. It will never be undone, it will never be any different, frozen as it is for all eternity. They are what they are and they are no different. Peace comes not from striving and desiring, but from being—no conditions, no expectations, no questioning the past or querying the future. 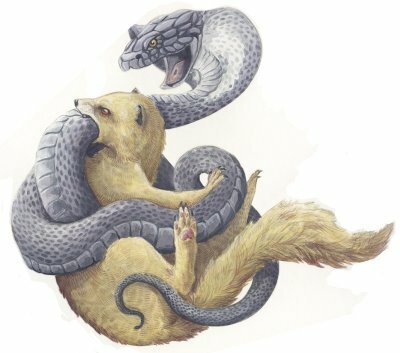 Life is what it is, and any relationship is unique because it involves unique individuals, unique conditions. The magic of life lies not in living against, but in living with. As much as I would like to credit the author of this clip, unfortunately, his or her name remains unknown to me. Thanks for allowing us to share this beautiful, private moment. PS— At 1730 hrs GMT, 10 hours after I published my blog, I got a message from my Facebook friend Joeson Hsu from Taiwan giving me the information I missed. Thanks, Joeson. 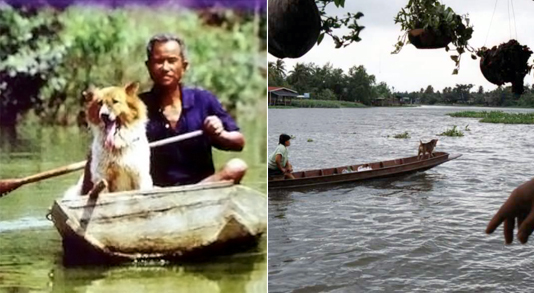 The author of this movie is Ana, the mother of Herman, the little boy, and the dog is Himalaya. Thank you so much, Ana, for sharing with us. Indeed, communication is a will, not a question of language or species, and a relationship is a natural thing. 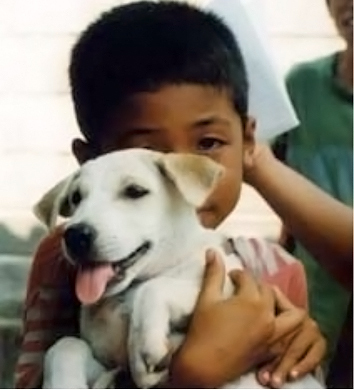 Too many misunderstandings between child and dog end tragically with the dog biting the child. Usually, the dog is rehomed or destroyed. The child may retain physical or emotional scars for the rest of his or her life. We must take any problem between children and dogs extremely seriously. Best of all, we should set preventative measures into action before accidents happen. Allow me to be blunt: when a dog bites a child, it is always the adults’ responsibility. If a child and a dog misunderstand each other so blatantly, it is because we (adults) have failed. We haven’t been good enough in explaining to the child how dogs understand our behavior; and we have been irresponsible dog owners, as we should have taught our dogs to respect a child always and unconditionally. Subsequent apologies and explanations are useless. 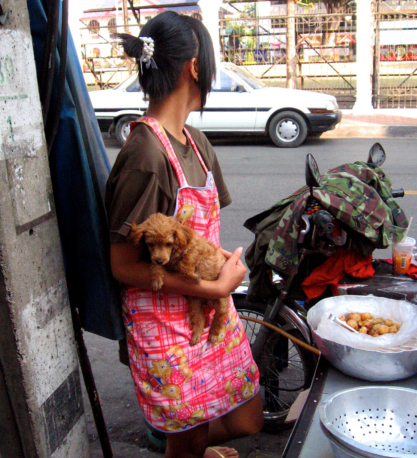 A child must never pay the price for her parents’ ignorance and the dog owners’ negligence—nor must a dog. Period. 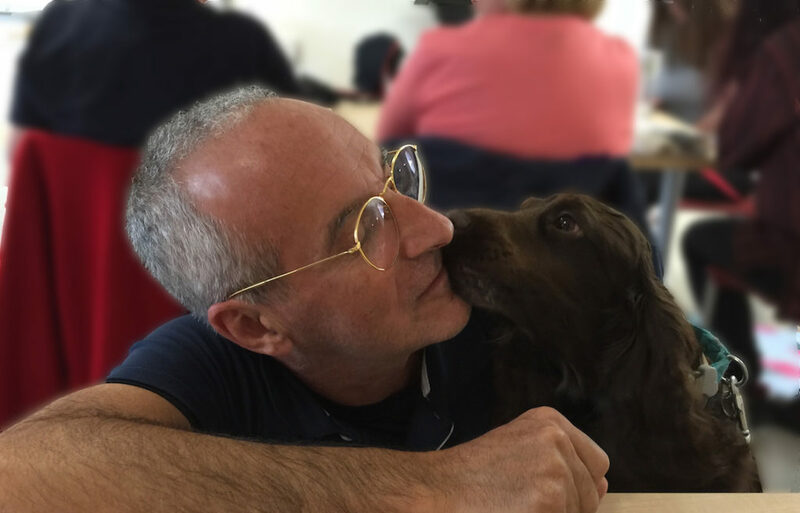 Even if you are not a parent, and you are not planning to be, you must teach your dog to accept children and to behave properly in their presence. We should regard every child as our own, our priority to protect them all. A bitten child is a mark of shame for all of us, dog owners. 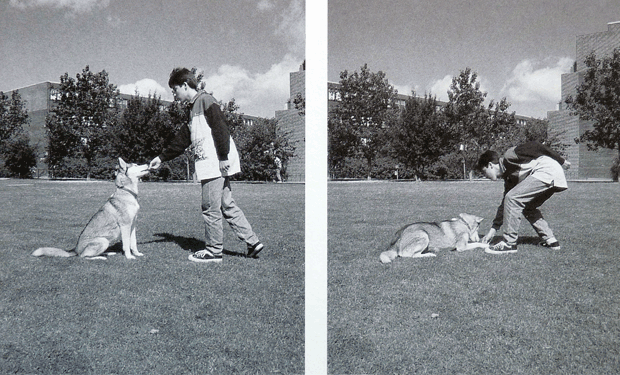 Daniel and Rassi doing scent detection in 1997. 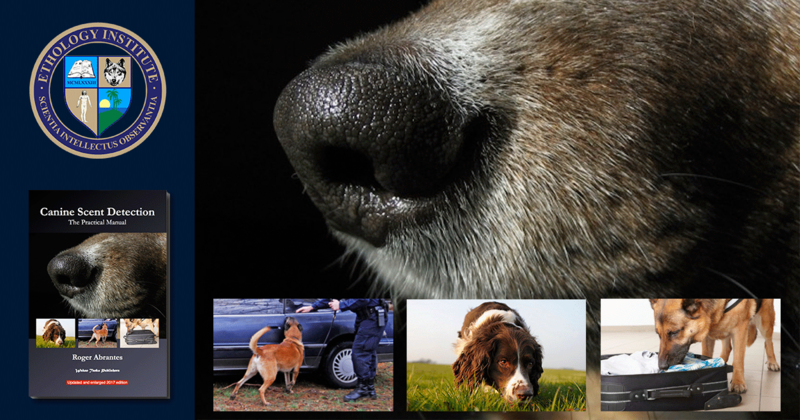 Scent detection games are excellent to teach children and dogs to work together. The dog must never be allowed to pick up the child’s toys in its mouth. If this happens, instruct the child not to attempt to take the toy from the dog, but to tell you, or another adult. Do not allow dog and child to play rough games where unforeseen consequences are unavoidable. 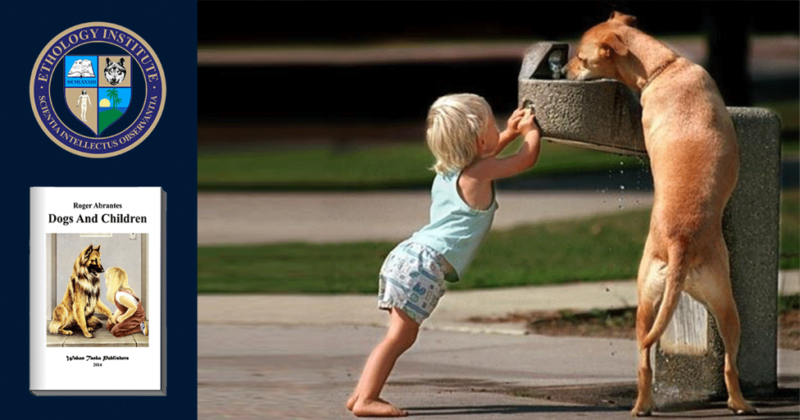 Instruct the child not to run in the dog’s presence, as this is liable to encourage the dog to chase the child. Discourage all attempts by the dog to jump up at the child, as this scares most children. Do not allow child and dog to sleep together. We never know what might suddenly frighten one or the other and trigger an accident. It can also contribute to the development of an allergic response from the child. Do not feed dog and child together. The vicinity of food is a factor likely to trigger increased vigilance in some dogs and may result in unfortunate accidents. Instruct the child about the fundamental principles of understanding the dog so that teasing, or cruelty, is not an option. 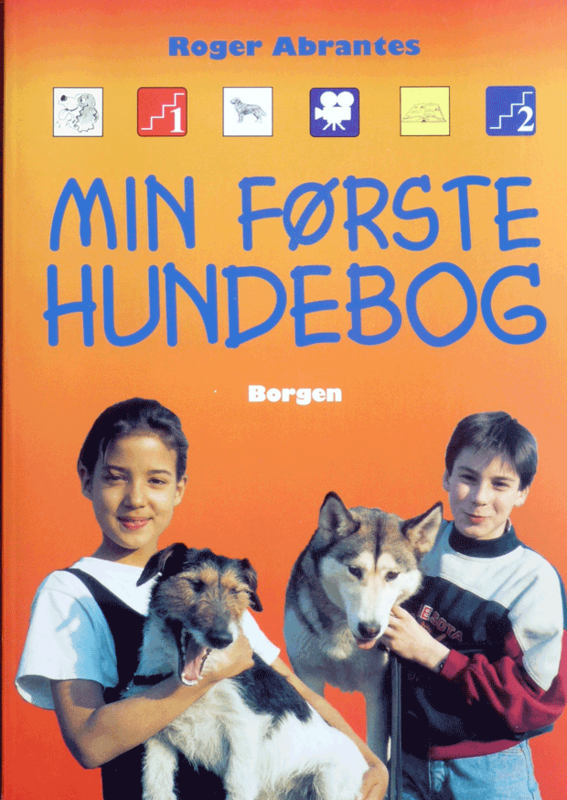 “My First Dog Book” published in Danish in 1997, the book I wrote with the children, for the children. Always show respect for all life. It is my experience (and supported by various studies) that children reflect their parents’ attitudes to a surprisingly high degree. Children can be extraordinarily good at understanding and training dogs if we teach them well. Classes I taught at the Ethology Institute in the 1990s showed that children are significantly quicker than adults in teaching dogs new tricks. They are also better at reinforcing desired behavior—more spontaneous, more precise and much less inhibited. In 1997, I wrote a book, “My First Dog Book,” with eight children, aged seven to 14. I instructed them for half a year. They were amazing: not only were they great dog trainers, but they also kind of co-wrote the book with me, checking all chapters, one by one, even correcting typos. What impressed me most was that they knew how to have fun and how to put it into perspective. Not one ever got mad at the dog for not performing as expected. At the end of each day, we all sat on the grass, sharing our snack packs with one another and the dogs (breaking one of my rules), giggling, being silly and enjoying life. Should children be allowed to train their dogs? Definitely yes, if you ask me. It is our duty to teach them to co-habit peacefully, to create opportunities for them to learn and to enjoy life together. 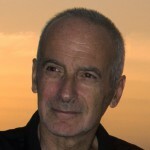 Except for Daniel, my son, I lost contact with my children of 97: Mariam, Nursel, Barbra, Anna, Maja, Selma, and Christina. Wherever you are now, I wish you are happy, and I send you a big hug. 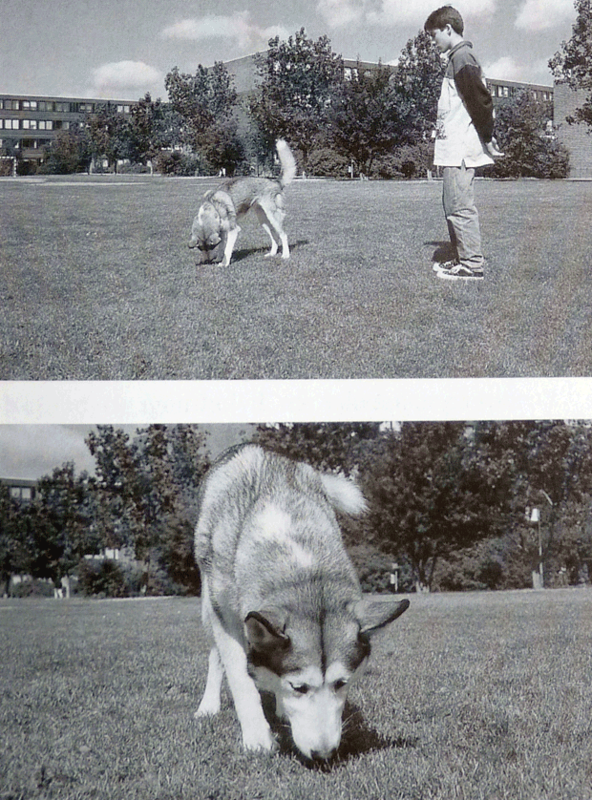 Featured image: Children are good dog trainers if we instruct them properly (picture from “My First Dog Book” from 1997 by Roger Abrantes).